Yep, this is happening. Will Nintendo actually be keeping up demand this time? Does the games in this list interest you? Will you be chasing this baby down? The list looks great. I would have liked to see another Country game in there, but still. So when is the more superior EU/Japan version coming out? Of the entire list, I would drop Kirby's Dream Course and Super Ghouls and Ghosts for DKC2 and Kirby's Dreamland 3. Otherwise? An awesome selection. Especially with SF2. The selection of games in this one I really good. I mean, it could use some puzzle games, but it's overall a great selection. I wonder where the controllers will go. Or are they ditching the wii remote port? @DarthNocturnal I liked Dream Course, though...but yeah, forgot about Dreamland 3. It supports Wii Classic controllers so, probably not. We'll probably still need to track down extension cables then... unless the SNES controllers are long now. But it's my understanding that they HAVE to be nunchuck cord length. I remember playing it a bit years ago. Maybe I just had less patience then (it is “Kirby Golf“, in essence, afterall), but I don't recall being terribly thrilled with it. Maybe this time will be different. I'd still like Dreamland 3 though. But hey, Super Star! Well, I do have two extension cables for the NES mini, so I'm covered in the case of short cords. I'm not seeing any wii ports on the system though. Anyway, Kirby "golf" covers up the sports game niche the system lacks. And from what I hear it's actually great for multiplayer. Dreamland 3 on the other hand wasn't all that well received compared to Super Star. Is boxing not considered a sport anymore? We have Super Punchout. Well, that's two sport games then. Better. No. Only Punchout Wii had multi. Also, I definitely prefer FF 6 over the NA SNES version of IV... but Chrono Trigger would've been even better. They finally release the SNES version of Yoshi's Island. 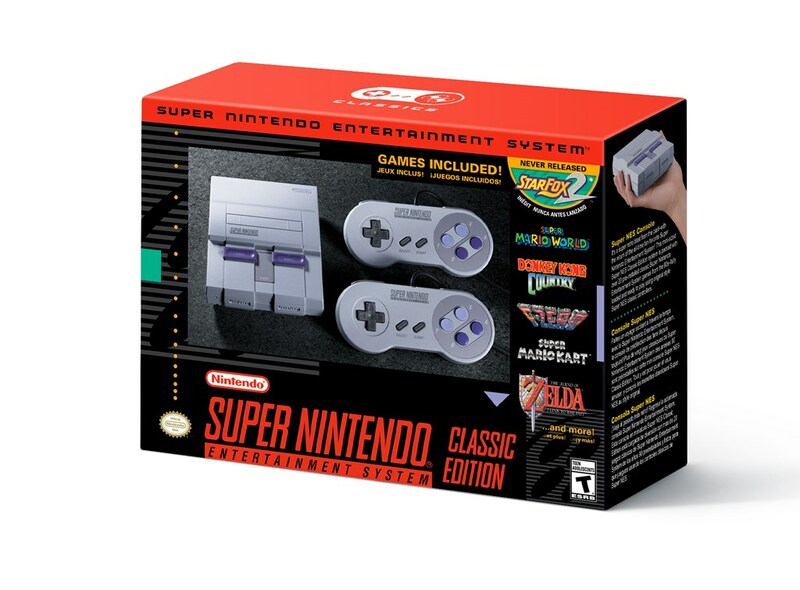 I would have included the Super Mario All Stars with Super Mario World version on the SNES mini. I guess they didn't want to include compilation games. Heh, I wonder if they'll at least try to make this one a bit harder to hack than the NES mini.